HEATSHRINK WITH GLUE ADHESIVE. Buy quality Auto and Marine Electric Parts and Accessories online, Sydney. 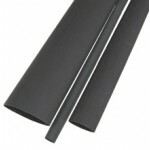 While the heatshrink is heated and shrinks, the glue melts and seals. The glue seals off the join, making it waterproof, dustproof, etc.